New stationery design! 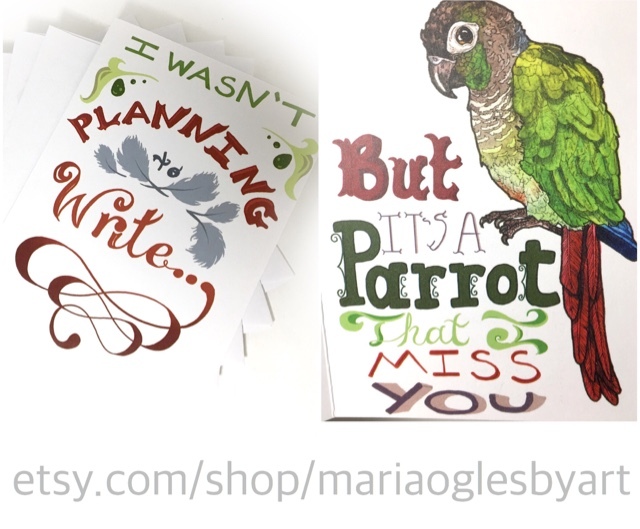 "I wasn't planning to write but it's a parrot that I miss you". This is my first time playing with lettering. Pretty happy with how it turned out :) packs of 5 and 10 are available on etsy!